I have been available since 2014 as a freelance beverage consultant specializing in beer, spirits, cocktails, and current alcohol trends. My work has spanned recipe development, botanical research and procurement, home and office bar inventory/supply advice, custom cocktail and infusion creation, and alcohol packaging style research. Past projects include cocktail recipe development, whisky recipe development for a new-start distillery, specialty maltings research, and consultation regarding the cultivation and propagation of local wild yeasts. Contact me if you have a project in mind! 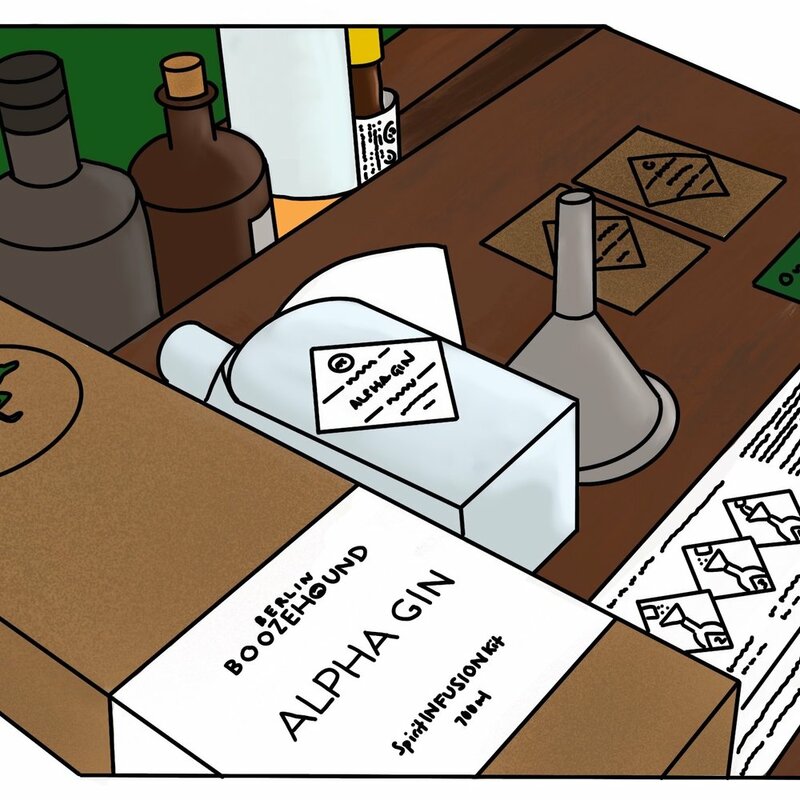 In the latter half of 2015, we ran a successfully-backed Kickstarter campaign to finance the development of four alcohol infusion recipes, design, and packaging strategy for at-home spirit infusion kits, ranging from two styles of gin, one spiced rum, and one vodka infusion styled after Club Mate (all infusions were inspired by elements of Berlin culture). Here is the project; you can read more about our full experience with Kickstarter in this article.